You may be asking what is an auto dismantler? Well, we can be called so many things. Scrap yard and junk yard are just two well-known names that auto dismantlers are known for. According to some statistics, auto dismantlers are known to supply scrap metal to 80% of building today’s vehicles. In essence we are an asset to the auto supply industry because our service is environmentally friendly and it keeps scrap metal from going into landfills. 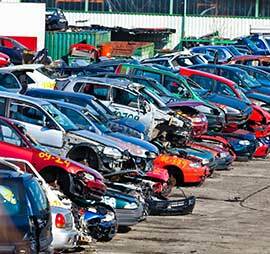 Auto dismantlers are responsible for 11 million vehicles being scrapped yearly. Have an older vehicle and need a part that is hard to find? There is a good chance that you can locate it at ABCM Car Removal. We have a huge selection of vehicles that have been acquired and stored in our yard for spare parts. Our company believes that every vehicle has worth. From the metal body, the engine and all the internal parts. Keeping vehicles intact when they are picked up by their former owners means there is more chance that parts can be dismantled and salvaged. Where do these old scrap vehicles come from? Are they simply found on the street and taken to the “graveyard” to be dismantled for parts? Well, that is partly true. These vehicles are purchased from their former owners that either did not want them or damaged so badly in an accident that they are no longer functional. They are stored in our wrecking yard for the purpose of dismantling to create stock of used parts that are hard to find. Isn’t that awesome? So, there is a win for the former vehicle owner, ABCM Car Removals and you. One vehicle can supply dozens of cars with parts that did not have to be purchased at the store and usually acquired for a reasonable price considering they are used. 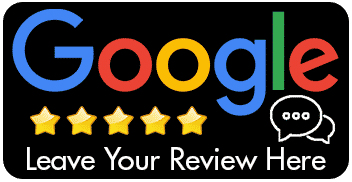 Who wouldn’t appreciate a service of this nature when you are the owner of an older vehicle, don’t have lots of money to have it repaired and environmentally friendly because the dismantled vehicle is a gift that keeps on giving in its non-functional state. Door handle damaged on your old car? Chances are, we have a vehicle in the yard that could replace it and at a great price. The downfall is the part is not going to come with a warranty but it is a small price to pay to get more time out of your older vehicle. Auto dismantlers are an excellent choice in your search for parts for your older car. Car parts can be expensive. Also it may not be worth spending money on a vehicle you will soon get rid of. So, taking advantage of purchasing dismantled car parts from ABCM Car Removal can save you money and the environment at the same time. The metal that the part is made from continues to be used for your vehicle and stays out of landfills. Isn’t this a good thing that you are doing for the planet? We all live here and enjoy the benefits the planet gives us all. If you need a part for your old car, give ABCM Car Removal a call today. We may have what you have been looking for.